Apple's latest iPhone 8 is supercharged by its new A11 Bionic chip, which does the heavy lifting for a series of major new camera features as well as making everything faster. It also packs iPad Pro's True Tone display and Fast Charging, and adds Qi wireless charging through its beautifully glossy rear glass back, built in a familiar shape but with a new steel structure ringed in an aluminum band with precision seams that continue the water and dust resistance of the previous 7 generation. iPhone 8 models carry forward all of the features of Apple's previous iPhone 7 and 7 Plus (this year's top selling smartphones), along with top to bottom enhancements including: a new aluminum-ringed, strengthened glass case architecture that provides a distinctive appearance and enables the convenience of Qi "wireless" inductive charging with iP67 dust and liquid intrusion resistance; new USB-PD Fast Charging; compatibility with EVS high-quality voice calls over LTE; support for True Tone on its 3D Touch, Wide Color Retina HD Display (which remains the same resolution and size as previously); Apple's most advanced mobile chip yet: the A11 Bionic, which features a new 6 core architecture that adaptively scales up for performance and back down to deliver energy efficiency for battery life; larger, faster camera sensors with deeper pixels, new the standard iPhone 8 model) paired with an incredible Slow Sync flash feature for better and more realistic scene illumination in low light settings. The new 8 and 8 Plus models are now priced at $699 and $799--that's $50 and $30 more (respectively) than last year's entry price for 7 and 7 Plus. However, the new iPhone 8 models start with 64GB of storage, compared to 32GB last year on the 7 lineup. The new entry price of the 64GB iPhone 8 is now right in the middle of the earlier launch price of the 32GB and 128GB iPhone 7, while the 256GB iPhone 8 is the same price ($849) as the 256GB iPhone 7 was. That means Apple didn't just arbitrarily raise the price of iPhone 8; it enhanced its entry configuration, leaving more room below to accommodate the continued sale of earlier models at reduced prices. Previous 7 models are now reduced by $100 (now $549 and $669), and the earlier 6s and 6s Plus are being sold at $200 less than their original debut prices ($449 and $549). 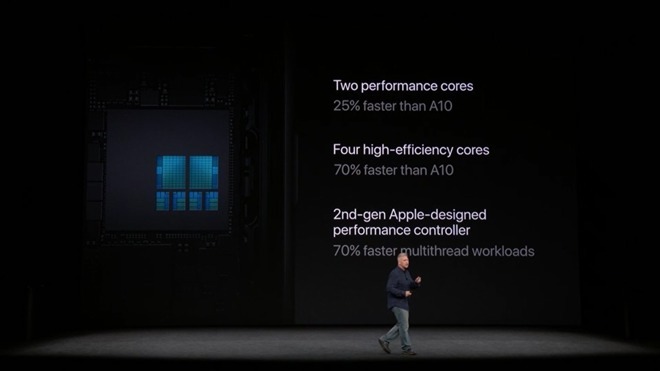 Lastly, the A9-powered, 4 inch iPhone SE, which now starts at $349 ($50 than previously) remains Apple's least expensive iPhone, despite its capable processor and camera technology refresh from last year (and it, too, now gets double the storage capacity from before). Along with the upcoming launch of iPhone X, which starts at $999, Apple now offers (by far) its broadest range of pricing tiers ever. However, there's little to be confused about despite all the SKUs. With a new peak of nearly 1 billion iPhone users, Apple now has the widest range of users to accommodate. 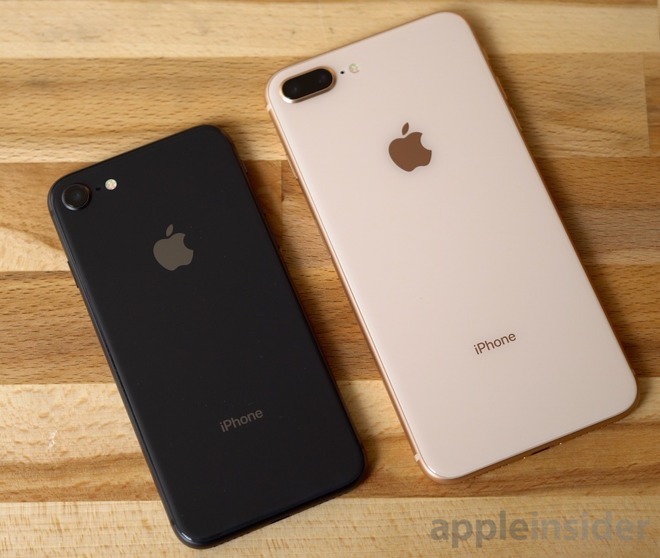 In addition to their other new features, iPhone 8 and 8 Plus (and iPhone X) are the only models currently offering 64GB and 256GB capacities; iPhone 7, 6s, and SE models are all now available only in either 32 and 128GB versions. Conversely, iPhone 8 models have fewer new finish color options than last year: Silver (with a white face), Gold (with a white face) and Space Grey (with a back face). Due to their glass back (detailed below), those finishes deliver a very distinctive look--at least until you hide them inside a typical case, where the camera window offers only a glimpse of the newness of its finish. 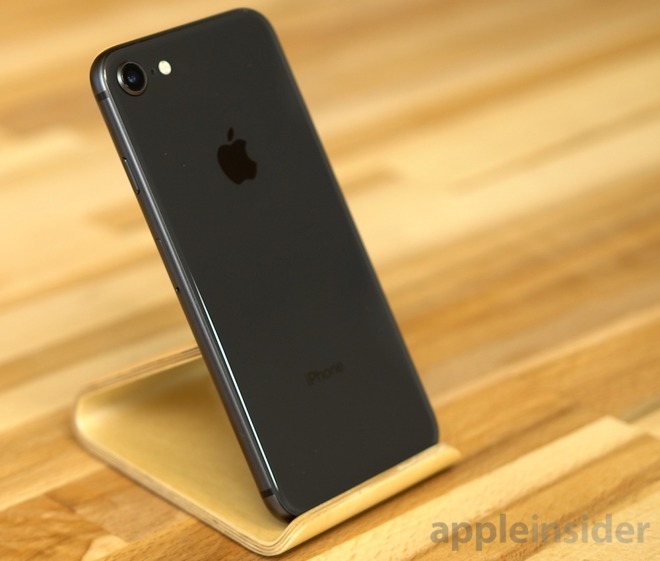 iPhone 7 models continue to sell in the same five finishes as last year, including Rose Gold and the unique Black and Jet Black finishes that generation introduced. Also now missing is the Product(RED) version that Apple sold within the last year. The 6s and SE generations still sell in their original four color options (including Rose Gold). In other words, no changes from one year ago. Apple has historically introduced exclusive new, unique color finishes to distinguish its latest iPhone generations, but both iPhone 8 and the upcoming iPhone X focus entirely on technology and design--looking new in depth, not just on the surface. As with Product(RED) iPhone 7 which was sold this year between March and September, it seems likely that Apple could introduce new color options for its new iPhone 8 models later on as it catches up with initial demand. Apple continues to enhance its iPhone lineup along a strategic trajectory, incrementally building on previous technology developments with a clear strategy, rather than just incrementally bumping up the display resolution, changing the size of its screens or introducing a temporary gimmick features for a season or two (remember fads like 3D displays, Project Ara modular function blocks, Amazon's Dynamic Projection, mini secondary side displays and epaper screens, LG's G Flex banana phone, Samsung's hand-waving Air View and eye-tracking Smart Scroll, built-in projectors and phone-netbook docking?). Last year's iPhone 7 models got a larger, more precise Taptic Engine that not only provided haptic feedback for 3D Touch but also served as the force feedback that enabled its new solid state Home button. 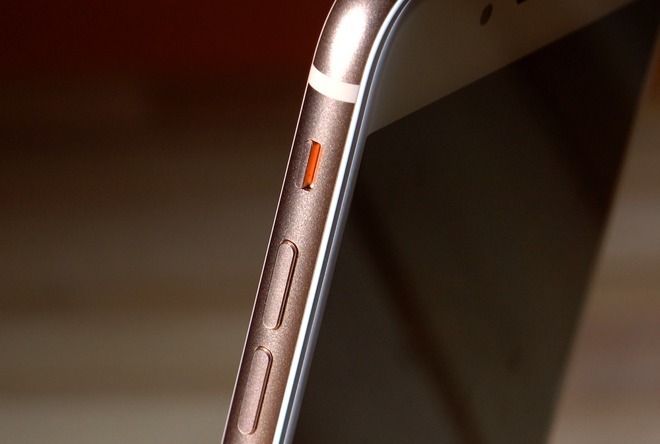 The new Home button also made it easier to achieve dust and liquid intrusion resistance, in parallel with moving audio to Lightning or wireless delivery so Apple could get rid of the analog minijack and reclaim that internal volume. 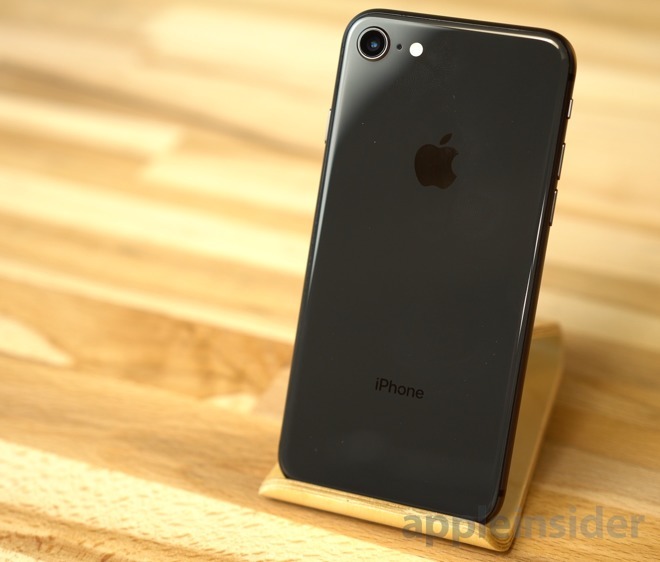 This year, Apple had to redesign the case of iPhone 8 to accommodate its new Qi wireless charging feature, which involves an induction coil behind its new glass back. The case of earlier 6, 6s and 7 models was effectively an aluminum tray that the display and electronics were dropped into; the new case has a steel internal frame that supports the display panel on the front and the magnetically-translucent glass panel on the back, ringed with an aluminum bumper. The seams along the edges of this new design are so perfectly precise that it still feels like a solid tray, as if the back is just painted on rather than being a separate panel. These perfect edge seams were also required to retain the IP67 water and dust resistance that iPhone 7 introduced. The strengthened glass back has multiple layers of color applied to it, giving it a creamy luster. The Gold version, rather than being the solid, metallic champagne or rose gold color of previous generations, features a back panel with a warm, antique pearl appearance with a subtle dusty pink tone that looks luxurious and stunning in contrast to the coppery-gold frame that rings its sides and the camera lens. It looks spectacular. Similarly, the back of the Silver version has a hint of grey (the grey-white color of fat-free milk, or perhaps pallor mortis) which sets it apart from its silvery metal edges, but it sort of begs to be covered up by a colorful case. The Space Grey phone is now a real gray, not just a fancy word for black. In contrast to iPhone 7's inky dark Jet Black, the back glass on iPhone 8 looks like slate grey coated in gloss, with a distinct, but dark metal edge. The front of all three models is just the basic, familiar white or black seen on earlier iPhones. It's not terrible, but it doesn't look new. I wish the front carried forward the styling of the back, because the backs are so beautiful--or at least unique--they make you want to just stop what you're doing and admire the work that went into them. The new glass backs of iPhone 8 are not only eye catching, but are also grippier to the touch, a change from the metal backs of recent iPhones. The feel is very similar to iPhone 7 in Jet Black, which coated its aluminum skin with a gloss that (counterintuitively) feels less slippery than bare metal. The glass back seems more resistant to scuffs and scratching than previous anodized aluminum iPhones or the lustrous gloss finish of the Jet Black iPhone 7. However, being glass it can be chipped and shattered on impact, and the cost of replacing the back panel is more expensive than replacing a screen under AppleCare (it's the same "other damage" fee as replacing the back of previous non-glass iPhones). From the back, the new pearlescent glass iPhone 8 design looks like a luxurious heirloom, an anachronism of futuristic technology could either have been rescued from the baggage of a millionaire who perished on the Titanic, or alternatively belongs in the world of Bladerunner. Flip it over, and it just looks like an ordinary iPhone. Of course, when you do flip it over it also reveals that magical computer screen of bitmapped graphics that can do anything you want it to do. I don't know what the thinking was behind making the front disconnected from the styling of the back, but perhaps it serves to give what's on the screen a basic, neutral frame. Every iPhone, even the colorful 5c series, has kept the front bezel a basic black or white. The Jet Black front of the Space Grey version is nearly invisible around the display, but the white front of the Gold and Silver stands out more, making its lack of any pigment feel like Apple just forgot to paint it. Note that the upcoming iPhone X doesn't have a white front option at all, apparently to allow its TrueDepth sensor array to blend into the body. Beyond avoiding an influence of display perception with a colored face, iPhone 8 now enables the True Tone white balance first introduced on iPad Pro (and which we anticipated would also make it to iPhone 7 last year). True Tone uses a "four-channel ambient light sensor" to measure both light intensity and color temperature, with the intent of making what's on the screen respond to the environment the way an actual paper document reflecting that ambient light would. 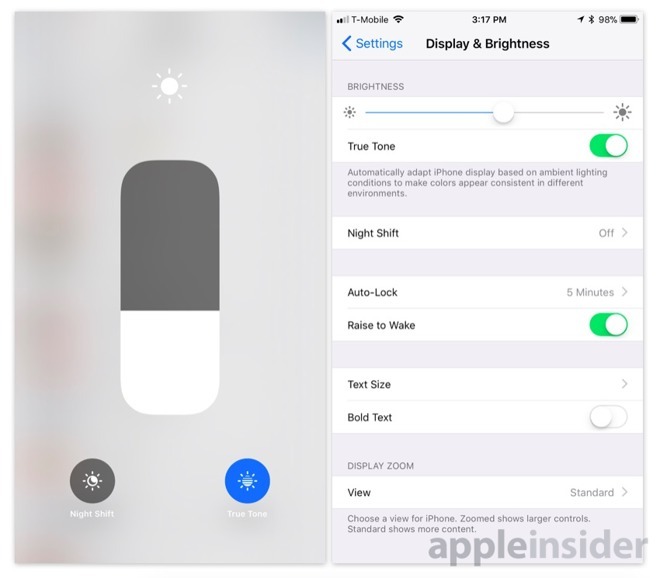 Similar to Night Shift (which cuts down the blue light that tends to excite and wake your brain up), True Tone can be turned on or off in Control Center by deep pressing on the display brightness slider. There's also a switch in Settings / Display. The effect is far more subtle than Night Shift, which you can dramatically see as soon as you turn it on. However, True Tone represents the tip of the iceberg of Apple's work in delivering sophisticated color management to iOS with the same, often taken-for-granted capabilities of ColorSync on the Mac. The True Tone display on iPhone 8 is most obvious when compared to an otherwise similar iPhone 7. At first glance, it appeared that True Tone made the display warmer in side by side comparisons. Later it seemed like the opposite: the new 8 looked bluer next to a warmer iPhone 7 screen. However, if rather than comparing two phones with each other you instead compare iPhone 8 next to a neutral white piece of paper, you can see that True Tone does indeed keep the display balanced in comparison to the lighting. Apart from the 120hz ProMotion high refresh rate delivered on new iPad Pro models, it seems that iPhone 8 with True Tone delivers what could be the last big jump in LCD technology for iPhones before transitioning to OLED (as in iPhone X) or micro-LED on the horizon. Apparently nothing else is different about the iPhone 8 display over previous 7 models--which already featured very high contrast ratios, very low reflectance, peak brightness levels above 700 nits and were calibrated to deliver accurate colors and display a P3 Wide Color gamut. It's tempting to say that Apple "should have" made more changes to the display on iPhone 8, but its restrained focus on improving color accuracy and making the screen more responsive to your environment (in a way that's easy to control and set according to your preference) is a benefit to developers and users alike, as it means apps won't need to make arbitrary adjustments to look good on the new models. There is also another disadvantage to hiking the screen resolution just for bragging rights: more pixels put additional load on the processor. Unless that additional resolution offers a true advantage (iPhone 4 radically enhanced the sharpness of the UI with higher pixel density; iPhone 5 added breathing room to the Home screen and apps with a taller new display aspect ratio; iPhone 6 introduced larger screen sizes), that processing capacity can be better put to use elsewhere. While iPhone 8 models keep all the display variables as they were, iPhone X introduces a new resolution as well as a higher pixel density, a taller screen ratio and new screen size all in one jump, which we'll consider more in-depth in its own review, looking at the pros and cons of all those changes. iPhone 8 and 8 Plus are Apple's first phones to ship with support for "wireless" (induction) charging. Apple previously shrugged off wireless charging as not being all that useful because you still needed to run a USB cable to your charging pad, which then transfers energy to the device laid on top of it without requiring a physical plug. Apple doesn't include a wireless charging disc in the iPhone 8 box, and the new phones don't work with the existing charging discs for Apple Watch. Because Apple supports the common Qi charging specification, there is a wide range of compatible charging pads available, including low-priced options from Ikea, which has been selling Qi pads for years that integrate with its furniture and fixtures, as well as Qi pads from Belkin and mophie sold in the Apple Store. Apple plans to introduce its own AirPower charging pad next year, with unique support for charging up to three devices at once (including the new Apple Watch Series 3, which appears to more closely align with the Qi standard). We set up and tried out a $60 Belkin Boost Up Qi charging pad. The model we used comes with a non-USB wall charger, which requires you to hunt down a free outlet; you can't just plug it into the USB on your Mac or use one of the USB adapters you already own. Once you plug it in, there is some convenience to dropping the phone on it without having to find a cable or line up a connector. However, like the anemic 5-watt adapters Apple throws in the box, Qi charging is currently limited to a rather slow 5-watt recharge rate. Apple says it will issue an update to support faster 7-watt charging. It's not clear if the new phones can handle being charged any faster than that wirelessly. The convenience factor of Qi charging probably outweighs charging time if you're dropping your phone to charge at home overnight or just want to top things up at an airport or cafe where wireless charging pads are available. If you're in a hurry to recharge, you'll want to plug your iPhone in to take advantage of the significantly faster charge you can get using a standard 10 or 12 watt iPad adapter (which can be used to safely recharge any iPhone significantly faster than the included plug or Qi pad). New to iPhone 8 is an even quicker "Fast Charging" feature that uses the 29-watt USB-Power Delivery specification associated with USB-C and USB 3.1 to get you from zero to 50 percent in 30 minutes. As with 12.9 inch and 10.5 inch iPad Pro models, the latest iPhone 8 and 8 Plus (and upcoming iPhone X) can make use of Apple's 29 watt USB-C MacBook power adapters (or the 61W or 87W USB-C power adapters that ship with new MacBook Pros) via Apple's USB-C to Lightning cable to charge at 29 watts (14.5 volts at 2 amps). Fast Charging is the kind of super compelling feature that once you get it, you won't ever want to digress back into the world of yesterday. The nature of electricity means that when you are Fast Charging your phone heats up. It's definitely fast, and while the device gets warm it did not ever get dangerously or even uncomfortably hot. Fast Charging is the kind of super compelling feature that once you get it, you won't ever want to digress back into the world of yesterday. Note that Apple's (rather expensive $25) cable is designed specifically to accommodate the USB-PD 29 watt charging standard. Third party USB-C power adapters may support USB-PD, but they aren't required to as part of the USB-C or USB 3 specifications. Similarly, third-party cables with a USB-C port on one end and Lightning on the other don't necessarily support USB-PD, even if they do work fine for regular USB data sync and basic 10 to 12-watt charging. Along the same lines, if you use a standard Lightning cable with a USB-C to USB-A adapter, even Apple's 29-watt charger will only support basic (non-PD) 12-watt charging (5.2 volts at 2.4 amps). This is not a conspiracy; the cables involved must all be designed to support the higher power distribution of USB-PD, not simply offer a physical chain of connections. It's good that USB-PD is smart enough to not work unless it should. Forcing a higher voltage over a cable that was designed to be thin and light could result in overheating and potentially a fire hazard. Also note that it's only the wall chargers that support USB-PD; anything you plug into your USB-C MacBook ports (even with a USB-C Lightning cable) will still charge at the same (non-PD) 10 watts as other modern Mac USB ports (5.2 volts at 2.1 amps). That's also why you can't recharge a MacBook Pro daisy-chained to another MacBook via a USB-C cable; the new USB-C MacBooks use the same USB-PD specification to charge their own battery, but can't deliver (or pass through) enough wattage to charge another USB-PD device. Plugging in your iPhone into an older Mac or PC may deliver USB power even slower at around 2 watts (5v at 0.5 amps), which is the actual specification for USB 2.0. Starting with Macs from around 2011, Apple began providing additional (up to 10 watts) charging power than the spec allowed to devices (after determining they could handle it). Whether you opt for the effortless Qi pad or a fast USB-PD cable, the total cost is going to be somewhere around $30-70, so it boils down to a choice between not having to poke in a cable and not having to wait for hours. 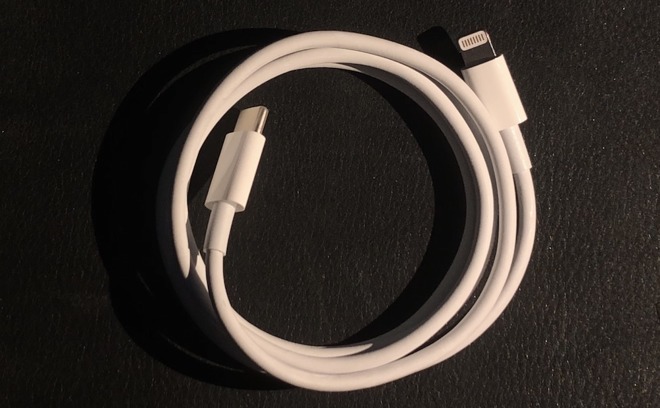 If you're already a USB-C MacBook or MacBook Pro user, you should definitely get an USB-PD-compatible Lightning cable rather than just use a simple USB-A adapter dongle with the default (skinny) Lightning cable, because it not only lets you connect to any Lightning device (iPad, Siri Remote, Magic Mouse, etc.) with less hassle, but allows you to borrow your MacBook adapter for super fast refills of the new iPhones and iPad Pro models. It seems like Apple should at least include a 12-watt adapter with its premium-priced iPhone 8 models, and should also make it a little easier for users to understand how fast their devices are charging, and why. There's no indication in iOS that shows if you have achieved Fast Charging, or whether your Mac or whatever USB plug you're using is delivering 2, 5, 10 or 12 watts. On a side note: Qualcomm Quick Charge is a proprietary protocol that is built into the Snapdragon SoCs used in many premium-priced Android phones, and is often cited as an advantage of Android reviews. It claims to support even faster charging than USB-PD, but it does this by modifying Vbus voltage levels and pin assignments of USB ports, creating new incompatibility issues between chargers and cables that "look like USB." Google itself is strongly recommending its Android licensees against adopting Quick Charge rather than using the same USB-PD standard that Apple has adopted in its new MacBooks, iPad Pros and now iPhones. The new Qi charging support doesn't seem like it would add any appreciable weight to the phone, but apparently the new steel frame and beautiful glass panel that accommodates wireless charging are what contribute to its slight increase in heft over iPhone 7. The standard iPhone 8 weighs in at 5.22 ounces (148 grams) and the 8 Plus weighs 7.13 ounces (202 g). While the 7 generation was a bit lighter less than the 6s, the new 8 models outweigh both. They don't feel terribly heavy, but definitely have a more substantial weight to them, which actually reinforces that classy appearance of their stunning rears. For comparison, the standard iPhone 7 weighed 4.87 ounces (138 grams) compared to the 5.04oz (143g) iPhone 6s, while iPhone 7 Plus weighed 6.63oz (188g) vs 6.77oz (192g). The new models are also ever so slightly thicker, but not enough to even see when you lay them out next to each other. Their dimensions haven't changed enough to prevent you from using old covers on the new phones, and Apple says its new covers can be used on the older models. You can check out Apple's latest cover colors at the bottom of this review. 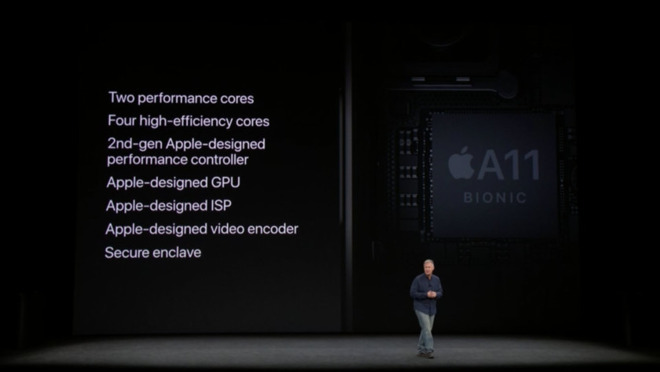 This year, new to iPhone 8, Apple's new A11 Bionic Application Processor delivers specialized capabilities, starting with Apple's first internally-designed GPU. Separate from its CPU, GPU, ISP and other custom components, Apple also designed the Secure Enclave in A7 to handle storage of sensitive data (fingerprint biometrics) in silicon walled off the rest of the system. That SoC also incorporated what Apple called the M7, a helper chip that performed background tasks such as tracking data from motion sensors, the barometer and later, listening for Siri commands on the microphone. 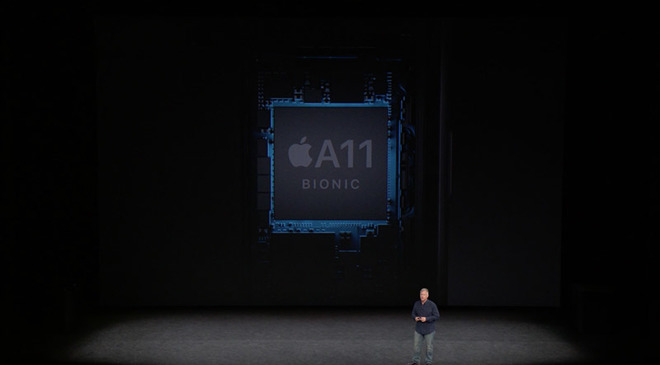 Apple said it made improvements to both the Secure Enclave and the M11 built into the A11 Bionic, but didn't detail those changes. As with the iPhone 8 display, its front and back cameras do not jump to a higher new resolution compared with last year's iPhone 7. However, there are new qualitative enhancements to the sensors that have a greater impact on the kind of photos it can take. 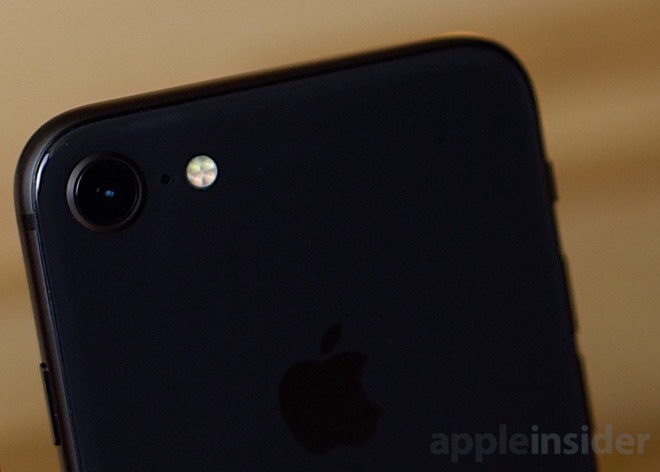 The rear sensor is now physically larger (Apple doesn't detail its size)--which is the best way to improve the quality of the images it can capture. The sensor features deeper pixels that better isolate the incoming light, reducing crosstalk between pixels. The camera sensor is also faster and, teamed up with the camera ISP of the A11 Bionic, smarter. It can better focus on fast moving objects, does HDR automatically and dramatically enhances capture in low light. The larger, faster sensor also provides extra room for overscan, enabling the A11 Bionic ISP to perform better video stabilization (like a digital Steadicam). 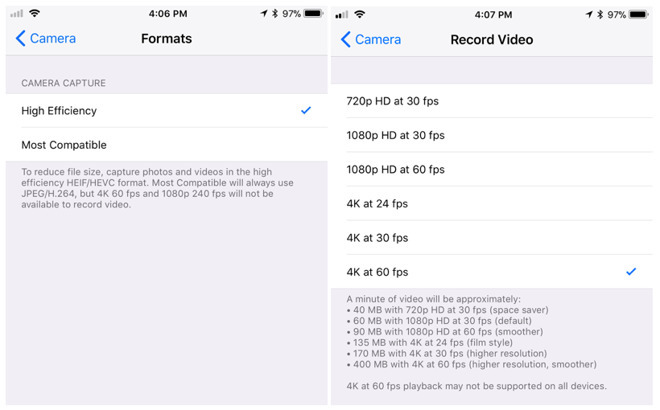 It can also capture higher video frame rates--something that is enhanced by its support for new HEVC compression, which makes photos and videos about half their usual size, or alternatively doubles the frame rate of 4K capture (for much smoother video) at about the same video size. Support for the new HEVC video and HEIF photos is included in macOS X High Sierra, but older Macs might have issues playing back higher resolution, high frame rate video simply because decoding it is so processor intensive. HEVC is not just more efficient in making videos smaller but more adaptive in analyzing motion and adjusting its encoding settings to optimize the compression to the content being recorded. The rear camera also radically enhances its True Tone flash with a new Slow Sync feature designed to improve exposure in low light conditions by slowing the shutter speed while using a "short strobe pulse." 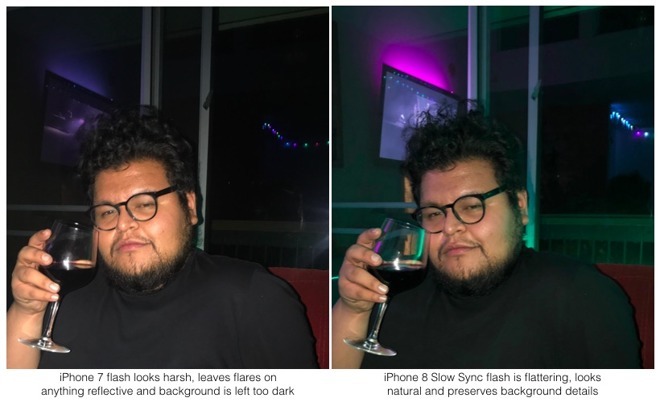 Rather than only serving as harsh illumination for the foreground in scenes too dark to capture without a flash, the new flash is now broadly useful for improving the lighting of photos. Building upon advancements in the 4-level True Tone flash made last year, iPhone 8's improved flash system automatically configures and provides flattering illumination for faces without blowing them out, allowing the background to expose properly and greatly reducing the flash flares on windows or glasses that often ruin photos when you use the flash. Even without using the greatly improved functionality of the LED flash, the faster sensor and smarter logic driving the camera system results in major improvements when taking shots in low light. You'll probably need to tap on the subject you want to capture to adjust exposure based on what you're trying to capture, but there's vast improvement in how well the system works to grab what you see. Particularly in low light, the image that it takes is much closer to what the scene looks like to your eye. In the images below, the left column shows the default point-and-shoot exposure of iPhone 8 (top) and iPhone 7 (bottom). 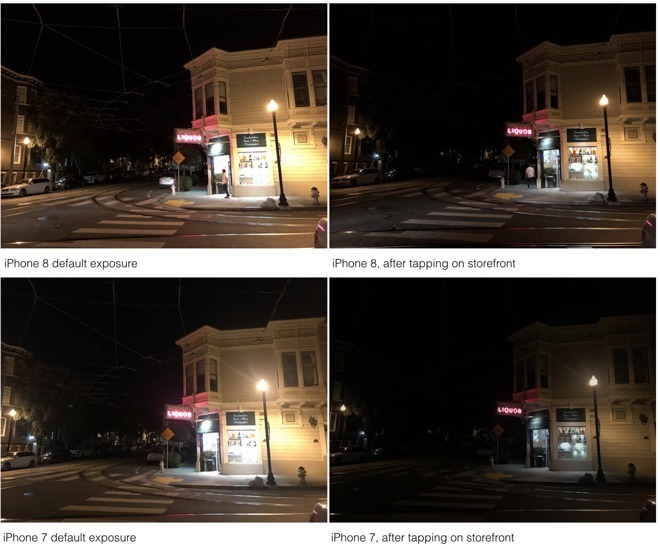 On the right, after tapping to adjust the exposure on the storefront, iPhone 8 composes a balanced scene that accurately reproduced the lighting of the scene, while iPhone 7 made the overall scene too dark in order to compensate for the brightly lit store. With the huge enhancement in how the flash works, the weakest remaining link in iPhone 8 photography is probably its use of tiny plastic lenses. Light refraction, lens flares and bright point artifacts continue to be a problem on iPhone 8, and apparently won't go away until Apple decides to improve upon its lens, ideally including some sort of option for supporting external lens attachments for specialty lenses. However, the kinds of sophisticated computational processing Apple is showing off may eventually erase the limitations of tiny mobile lenses by simply adjusting for their artifacts and digitally erasing them in real time. Fresh out of the box, a new iPhone 8 boots up and asks you to select a display language and region, then offers to skip past the typical setup screens (where you'd normally set up your WiFi network, authenticate, set up a passcode and then log into and set up iCloud services) using iOS 11's new Quick Start. From this screen, all you need to do is present your existing phone, which should be freshly backed up and updated to iOS 11. Your old phone will discover the new one and pop up a panel offering to set the new phone up, just like a new pair of AirPods. Once you select this option, the new phone displays a rotating ball of particles that serve as a target for your old phone to capture with its camera, effectively a complex, secure equivalent to barcode or QR code. Once scanned, the new phone asks you enter the passcode from your old phone, then completes its own setup. After it finishes, it lets you choose between setting up the new phone as a fresh install, or restoring from an iCloud backup or an iTunes backup stored on your computer. You can also migrate data and settings from an Android phone. Restoring from a backup copies over all of your personal data and saved passwords (or just the basic settings, if your iTunes backup isn't encrypted). iPhone 8 now supports the emerging EVS (enhanced voice services) codec for Voice over LTE, improving the sound quality of voice calls made on carriers that support the technology. Compared to AMR-WB, which was initially used to deliver Voice over LTE, EVS handles a wider range of sound frequencies, increased compression stability and backwards compatibility with legacy standards. While AMR-WB is limited to 7KHz, giving it basic telephone voice quality, EVS spans from 50Hz to 14.4KHz to greatly improve audio reproduction and clarity to deliver richer, more lifelike voice audio. Multiple readers have already reported noticing improved sound quality on iPhone 8 voice calls, both over the handset and when used as a speakerphone. When launching iPhone 7, Apple gave short shrift to its decision to drop the analog headphone jack, focusing instead upon its proposed alternatives. A year later, many flagship Androids are following suit and Apple's AirPods have rapidly grown into a smash hit for their convenient wireless design and simple setup. As with last year, iPhone 8 models ship with Lightning earbuds (which to me sound identical to the previous analog jack version). There's also a Lighting converter to use standard headphones. New support for wireless charging now offers the ability to play music out over a cable or to headphones while the phone lays on a Qi charging pad. Apple also continues to offer its color-matched $49 iPhone Lightning Docks so you can charge and sync while using auxiliary audio cables or wired headphones. Later this year, Apple is releasing HomePod, which works like a pair of AirPods for your home--using the same effortless setup and providing tight integration with Siri. Additionally, iOS 11 further enhances sound distribution with multiple channel outputs to different devices using AirPlay 2. Like the previous iPhone 7 models, the new phones feature built-in stereo speakers, one in the base and the other in the earpiece, for listening without earphones or external speakers. The speakers on the new iPhone 8 models are 25 percent louder (so you can turn the volume up past 11 to reach 12.5). The sound quality is good but certainly a bit short of spectacular, given that it uses such small speakers. It's very usable, although I felt like the sound is a bit too crisp. You can adjust audio output to your preference using EQ settings under Apple Music. The "Small Speakers" setting seemed to result in impressive sound given that it's coming from an iPhone. 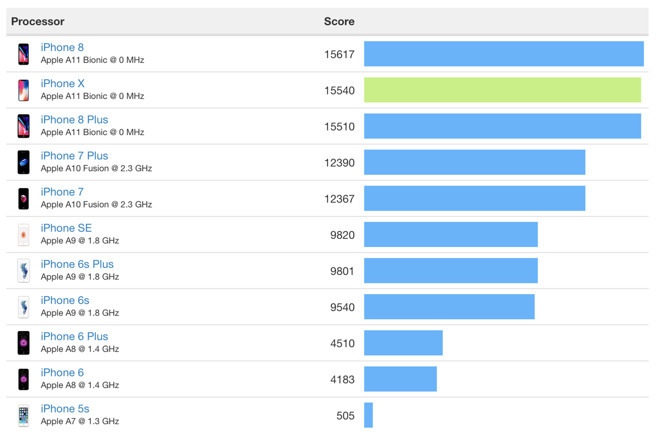 Apple is reportedly using either an Intel XMM7480 modem, or a Qualcomm Snapdragon X16 for LTE support with CDMA. That means if your carrier supports LTE Advanced, iPhone 8 appears to support 3GP Release 12, or 4CA (four x carrier aggregation) for insane (yet theoretical) mobile speeds of up to 600Mbps (basic LTE service typically tops out around 40Mbps). Of course, this technology only helps if your carrier supports it. In the U.S., AT&T has been deploying LTE Advanced networks in a series of cities and Verizon now claims LTE Advanced coverage in "more than 450 cities," although neither make any promises about actual throughput speeds. Even solid 40Mbps LTE service delivers a spectacular experience for mobile users browsing the web and downloading music. Carriers also may advertise support for brand names such as Verizon's XLTE (Band 13) or Tmobile's Extended Range LTE (Band 12). These bands (like AT&T Band 17) use lower frequencies for spreading out service to cover more area and to better penetrate buildings. However these lower frequencies are intended to stretch network usability, not to deliver maximum data rates. 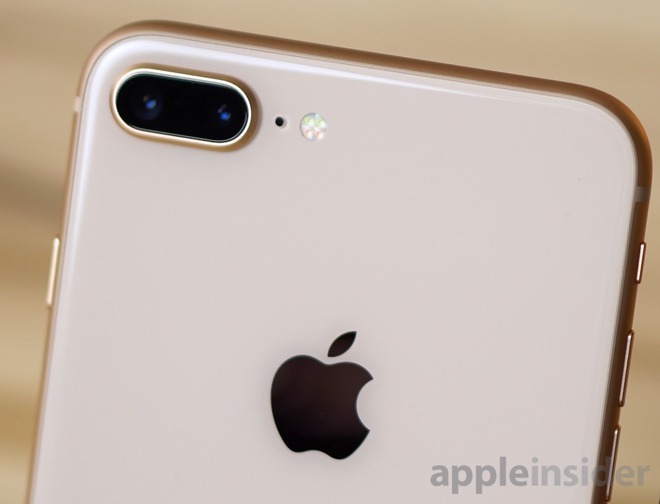 Qualcomm has sought to create a media narrative that portrays Apple as distantly behind in various technologies, in particular the idea that the company's newest iPhone 8 and iPhone X do not support Qualcomm's newest 5CA or 6CA 1 or 1.2Gbps LTE (because Apple is not exclusively using Qualcomm modems; Intel's modem is limited to Release 12 and 4CA). However, carriers around the world currently do not yet take full advantage of LTE Advanced's Release 12 600Mbps theoretical maximum, let alone Qualcomm's promise to facilitate nearly doubling this with Gbps LTE. While Gbps networks are slowly being rolled out, the reality is that very fast mobile data rates require dedicating lots of valuable spectrum using techniques such as carrier aggregation. The new technology makes for a great demo and confers bragging rights to the carriers who have claimed to implement it first, but in reality spectrum will continue to be allocated to enable hosting the most paying subscribers at lower real-world rates, not super high data rates. Carriers have historically preferred to deliver service to 5 times the users than to a fifth the users at five times the speed, as 1 Gbps LTE 5CA does. LTE carriers already broadly have the potential to deliver 40Mbps, but rarely actually deliver such speeds. OpenSignal reported this year that the top U.S. carriers only achieved average LTE download speeds of less than 17Mbps, while the global LTE download average was only 17.4 Mbps. It sure looks like carriers are optimizing their networks for volumes of users, not speed. There are also other factors impacting the deployment of super fast networks in the future. As Cherlynn Low wrote for Engadget earlier this year, new Gbps LTE technologies can "achieve speeds of up to 1 Gbps in simulations and controlled environments. In the real world, though, speeds are expected to be closer to between 100 and 300 Mbps." 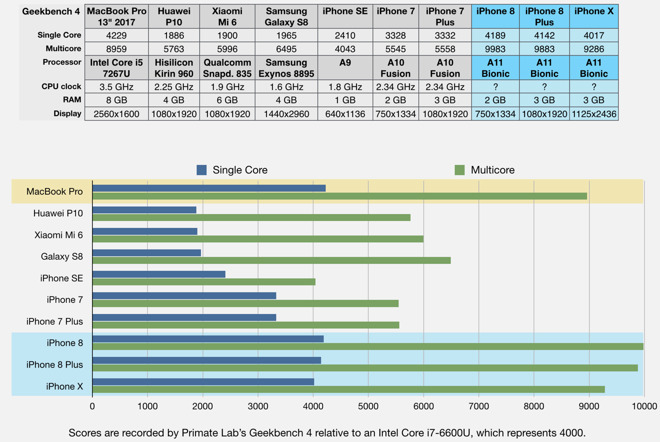 Along similar lines, while the 802.11ac WiFi specification theoretically enables up to 6.7Gbps with 8 antennas, iPhone 8 continues to support the same WiFi specs as iPhone 6s/7: four antenna 802.11ac (the latest standard used in Apple's tall form factor AirPort and Time Capsule base stations, newer Macs as well as a variety of third-party WiFi base stations) with 2T2R multiple antenna MIMO technology (2T2R) that supports wireless speeds of up to 867MHz (twice the maximum of iPhone 6). Most people won't make anything close to sustained use of 867Mbps WiFi on their phone. Taking advantage of these faster network specification speeds requires an 802.11ac network. If you're connecting at Starbucks or using the same home router you bought several years ago, your WiFi speeds will likely be limited to 802.11n (150Mbps) or the older 802.11g (54Mpbs) or perhaps even slower. Unlike your carrier's LTE however, you can install your own WiFi network to take greater advantage of the phone's built-in capabilities, although that doesn't mean your internet provider (or hosts on the internet) will also support the high end of wireless data, fully maxing out the abilities of a modern iPhone. iPhone 8 also adds support for the newest Bluetooth 5 specification, which supports faster communications over longer distances when communicating with low power devices such as health sensors and beacons (but not classic Bluetooth devices such as external speakers or AirPods). The new iPhones also support NFC tag reading apart from just Apple Pay, so developers can now take advantage of RFID tags in their own apps. Apple's $49 leather covers remain the same improved design as last year, sold in an array of new colors (the cases work with both iPhone 7 and 8): Cosmos Blue, Pink Fuchsia, Dark Aubergine, Charcoal Gray as well as the familiar Taupe, Saddle Brown, Black and Midnight Blue and a rich (Product)RED. While both iPhone 7 and 8 models sport the same IP67 water resistance as the original Apple Watch, the natural leather covers are not impervious to water damage and will scuff up faster if you get them wet. Wet leather also feels kind of slimy until it dries out. If you plan on getting wet, Apple also offers a $39 Silicone case with a rubbery, grippy feel that doesn't have any problem with water. They're now available Cobalt Blue, Rose Red, Ultra Violet and Dark Olive as well as last year's bright White, solid Black, Pink Sand, Midnight Blue and the very bright (Product)RED. iPhone 8 delivers a solid upgrade over last year's iPhone 7, particularly in its advanced camera and a speedy processor that promises to deliver involving new augmented reality apps, utilities and games built upon new ARKit framework. Wireless charging is a nice addition, but Fast Charging feels even more valuable, particularly if you've already entered the USB-C world with recent MacBooks (or have already begun taking advantage of Fast Charging on an iPad Pro). Few things are more frustrating than leaving the house with a partial charge because you don't have time to wait around. 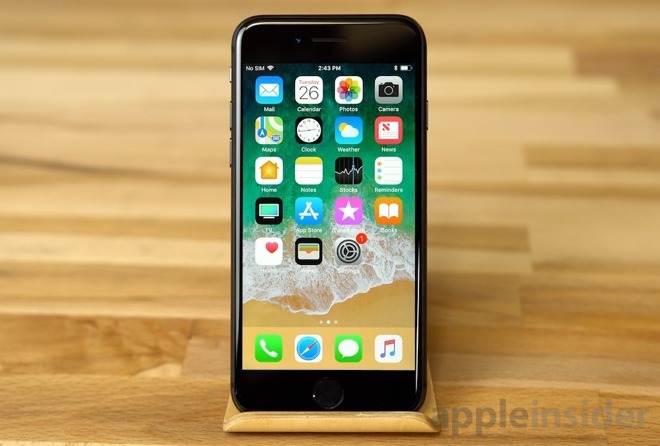 If you already own Apple's last generation iPhone 7 and are considering an upgrade, you'll likely want to spring for iPhone X, which will feel even more advanced and new that the workhorse 8 line, combined with some changes to how things work, thanks to its use of Face ID and a departure from the Home button that has defined iPhones for the last ten years. 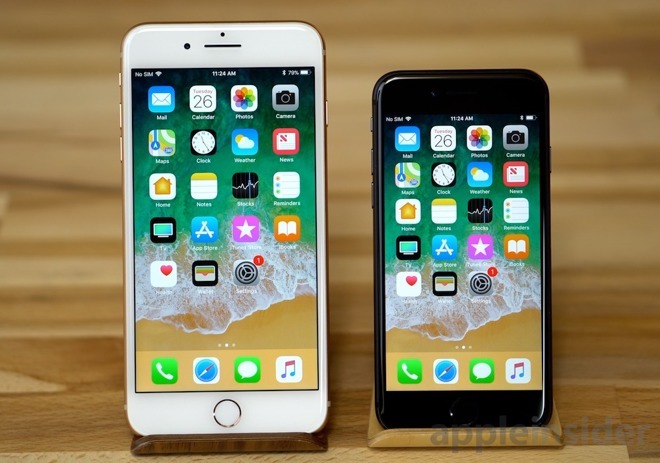 However, for users with older models who don't upgrade every year, iPhone 8 offers a major set of advancements in speed, camera features and water resistance with a familiar shape and functionality that won't require you to pay the higher premium of iPhone X nor change how you use your phone.